You already know it's harder to get traffic from the social web unless you spend money on ads. There's nothing new with that fact... just look at the graph above. But the reality is you can't ignore platforms like Facebook, Twitter, LinkedIn, Instagram, YouTube or any other new contender that comes out and gains traction. These social sites command so much traffic, that we have no choice but to be on them. Combine they get an estimated 50 billion visits a month. That's ridiculous! Gold Creative, with the assistance of Neil Patel, have surveyed over 100 companies that generate at least 1 million Rands in revenue a year all the way up to 1 billion Rands to show you where social media is headed and what you should do to succeed in the landscape. 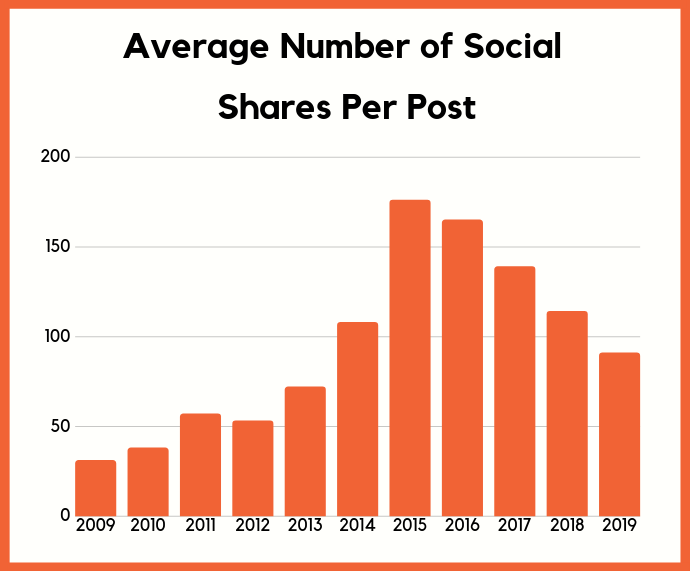 As you can see from the chat above, since 2015 the amount of shares a blog post receives from the social web has been declining. 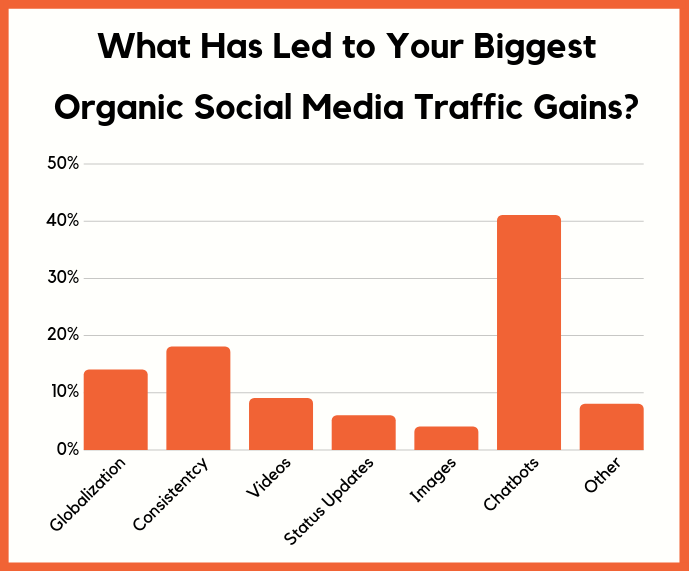 One of the large reasons for social sites to clamp down on organic reach is that that makes it so you need to spend money to get the reach that you were once used to and relied upon to generate traffic. Now let's look at the percentage of digital ad spend going towards social media sites. Over time it has increased, and you'll notice that things really started to ramp up in 2016. So, if you want the most engagement you have to feed into their goals. If you start producing live video or even recorded video, you'll find that you can boost your engagement. 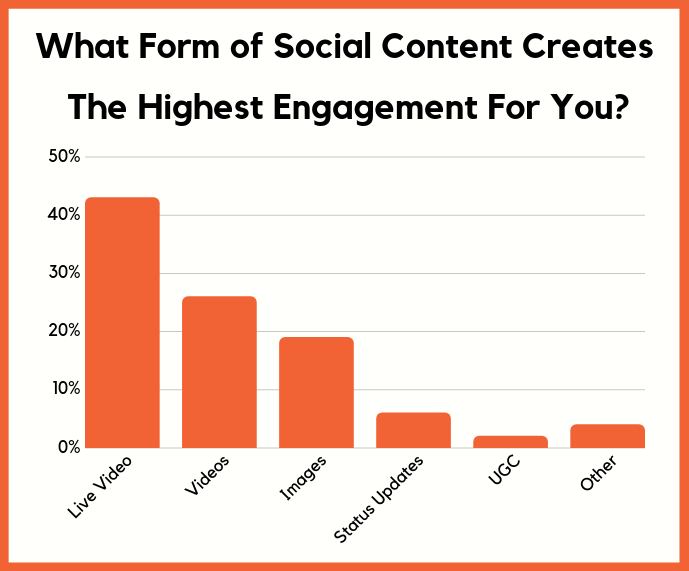 What this will do is get more of your followers engaged so when you post other forms of content they'll be a higher probability that the content will be seen. But of course, you want your followers to go back to your site... and you can do that through chatbots. In other words, if you want to drive people from social sites like Facebook, you'll have to start using messenger bots. The chances are you aren't using messenger bots yet, but they are super effective. Just contact our Digital Marketing experts and they will walk you through setting them up. Now, not every social network has messenger bots, but over time you'll see this change. You can use a combination of the methods above. You'll find that one won't be enough and you'll have to combine a handful of methods. 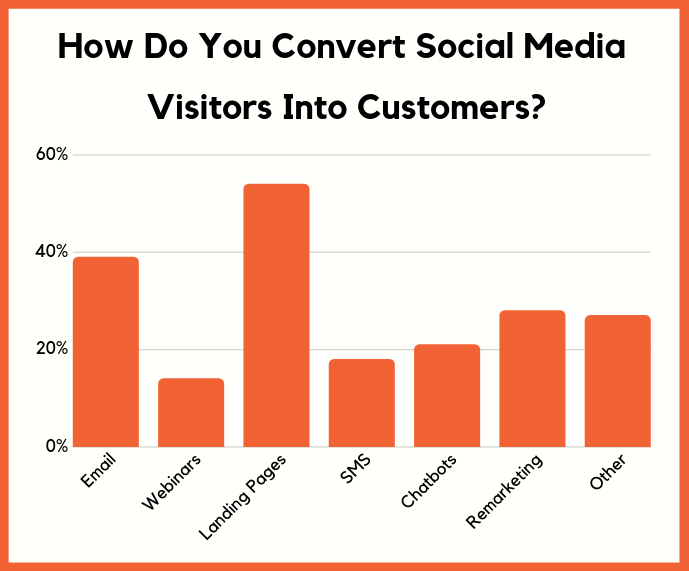 There are multiple ways to boost your sales from social media, including focusing on specific content types. Did you know that if you leverage chatbots (messenger bots) and post video-based content you'll generate more sales on average than if you just posted status updates? But that doesn't mean you can ignore the social web or stop using it. It's not dying and it is here to stay. The data shows social media is on the rise. Sure, these sites aren't growing at a rapid pace anymore but that's due to the majority of the world already being on one of these platforms if not a few of them. As long as you follow the tips above, you'll be able to maximize your social media traffic and revenue even when the algorithms change in ways that don't favor you.